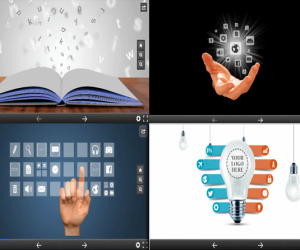 Some presentations require exploring the relationship between various aspects tied to a topic. Much like strands coming together to form a shape. 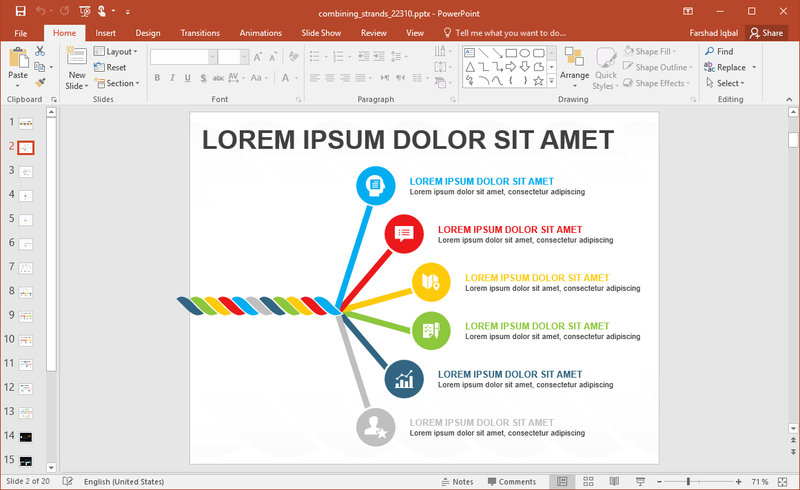 The Animated Strands PowerPoint Template contains illustrations and animations which depict combining strands. 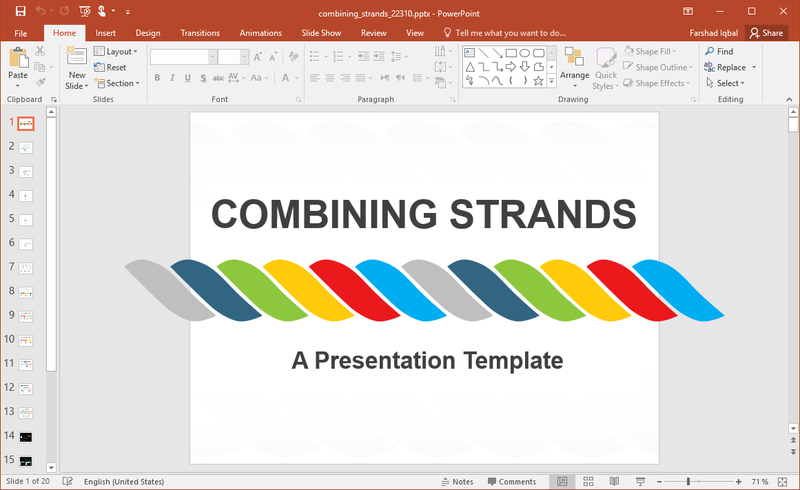 Originally named the Combining Strands PowerPoint Template, this is a template with the central theme of strands. This animated template loads the slides with various pre-defined animations that show different strands forming a shape. 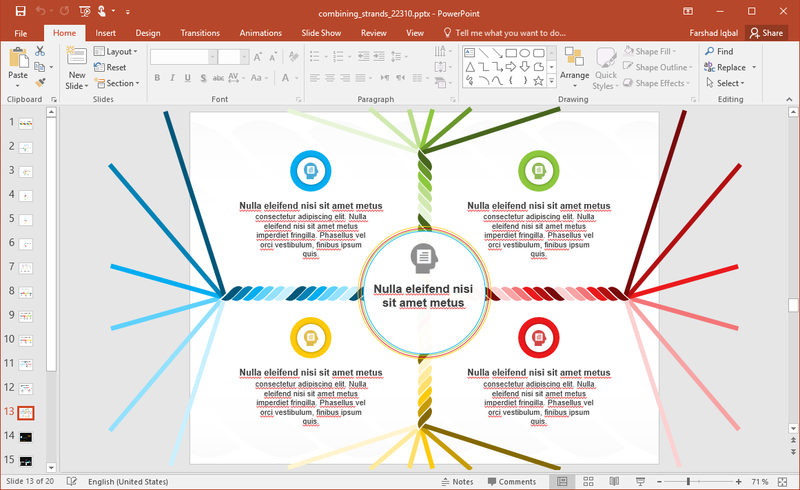 There are layouts which can be used to depict data, create infographics, picture slides, comparisons and more. 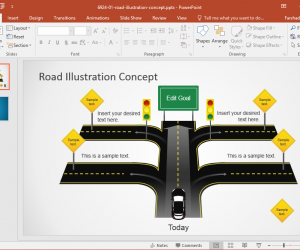 There are various handy icons that can be used to illustrate your topic with some visual aid. 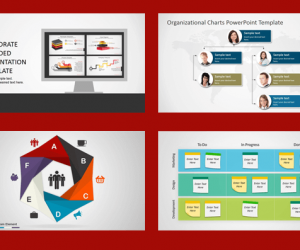 You can also replace these icons with your own images to fashion your slides. 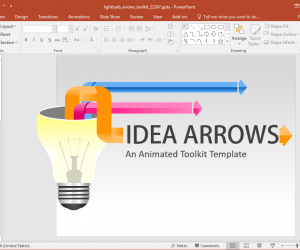 The icons and other elements within the template are easily removable. You can also move objects as per need. While the slides have been created in such a way that they can be customized for various slide types, some slides are more suitable for certain types of layouts than others. For example, the slide below can be ideally utilized as timeline slide. 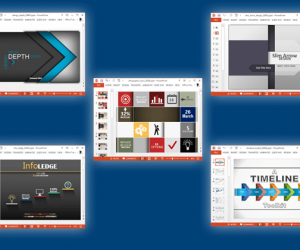 You can also duplicate this slide to extend your timeline across multiple slides. Similarly, there are slides which can be easily moulded to create custom diagrams, depict data, create comparisons, generate forecasts, etc. Just like combining strands can be a useful theme, you can also use the slide below to depict the breakdown of strands. Such as to explain how a procedure, plan or project went into delays or other issues which need to be rectified. 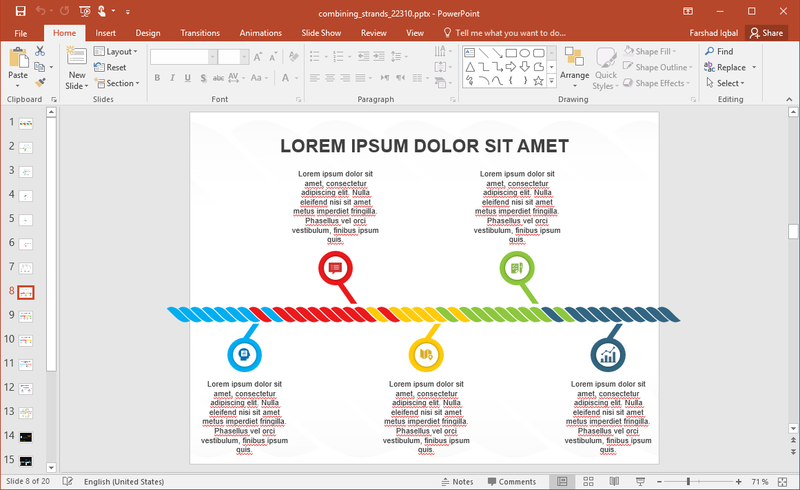 This strand themed presentation template is available from PresenterMedia. 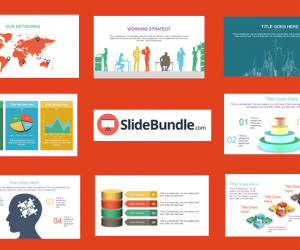 You will require a premium account to download this and thousands of other animated slides offered by the developer.